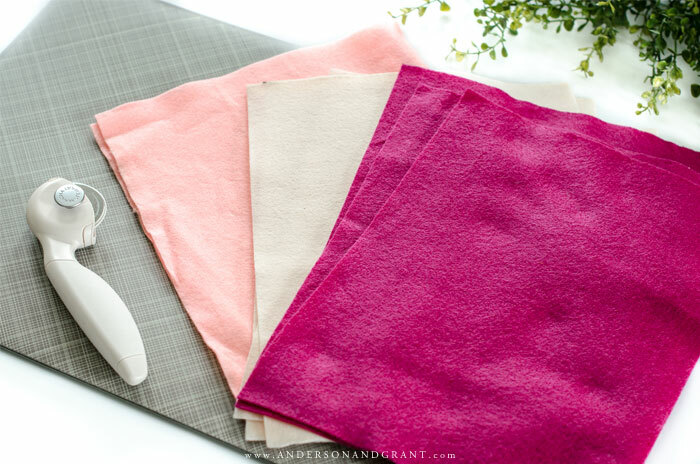 The number of sheets that you'll need depends on how many colors you'd like to mix and match. I used three colors, but also made some of just one color and really love how they turned out, too. To easily cut the felt into equal width strips, it is easiest to use a rotary cutter and self healing mat if you have them. The mat has markings that allow you to position the felt and cut without having to measure each time. 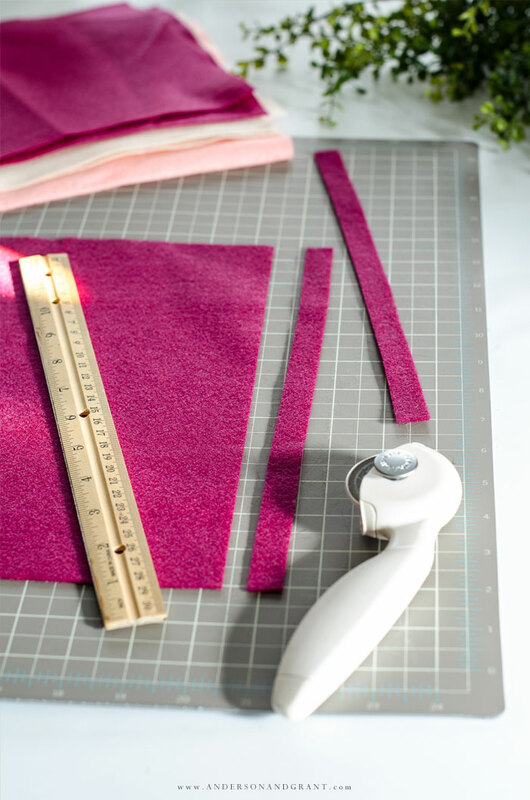 Simply line up the edge of the felt along one of the markings, position a ruler at slightly wider than the half inch mark, and position the rotary cutter alongside the ruler to cut an straight strip. If you don't have these tools, you can use a ruler to measure out each strip and cut them with scissors. 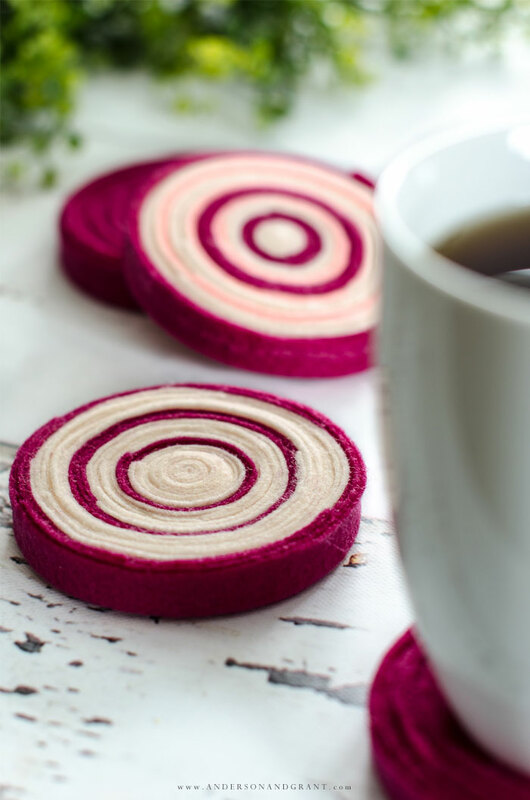 Each coaster is made out of approximately 18 strips of felt, 12 inches long and cut 1/2 inch wide. 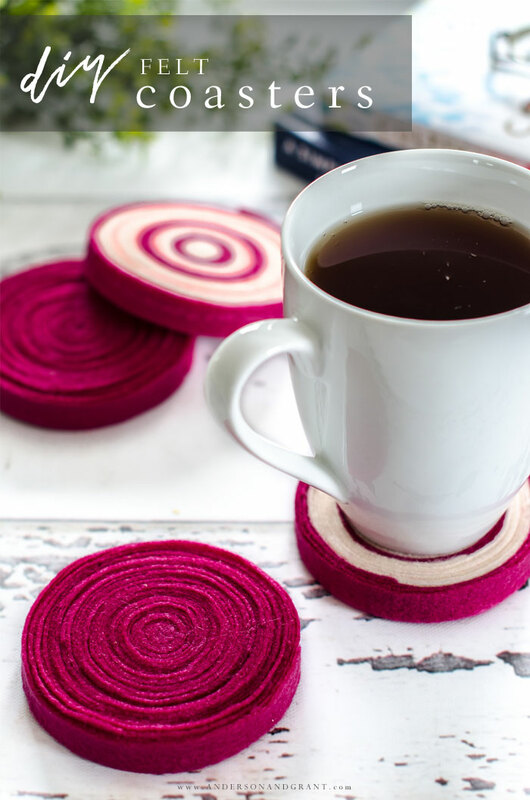 You may need more or less depending on how large you want the finished coaster and how tightly you roll the strips of felt. Add a thin line of glue to one side of the strip of felt and gently roll the strip as tightly as you can. Do the same with your next strip, adding a little extra glue to the ends when you attach the second strip beside the previous piece to ensure a tight fit. Continue gluing and rolling the strips until you make a coaster as large as you want. Mine were 3 1/2 inches wide, but yours could be bigger or smaller if you prefer. 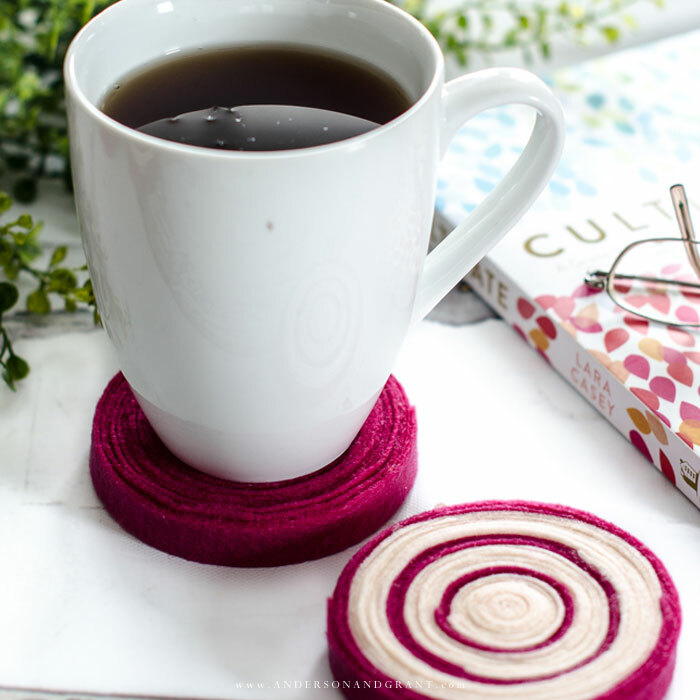 Use the template I've created to ensure your coasters end up the same size. You can use a pin pushed into the end of the last strip to ensure everything holds in place until the glue is dry. 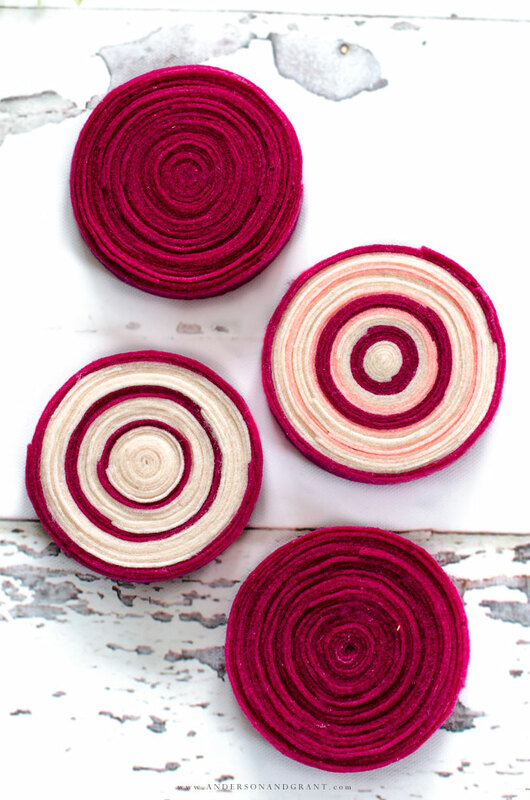 Even though the strips of felt were cut to the same width, you will end up with the slightest variations as you roll them. 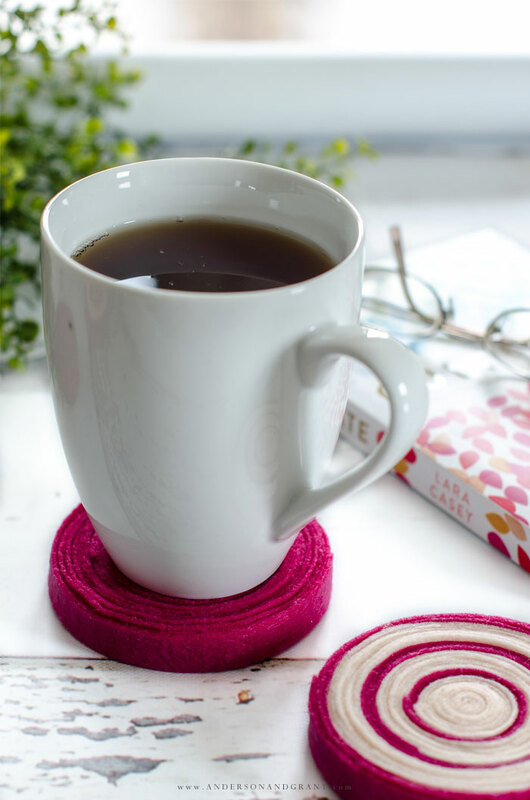 This adds a nice bit of texture to your finished coaster without affecting how well it will hold your beverage. This simple craft project will take you very little time to put together, especially if you use the special cutting tools. 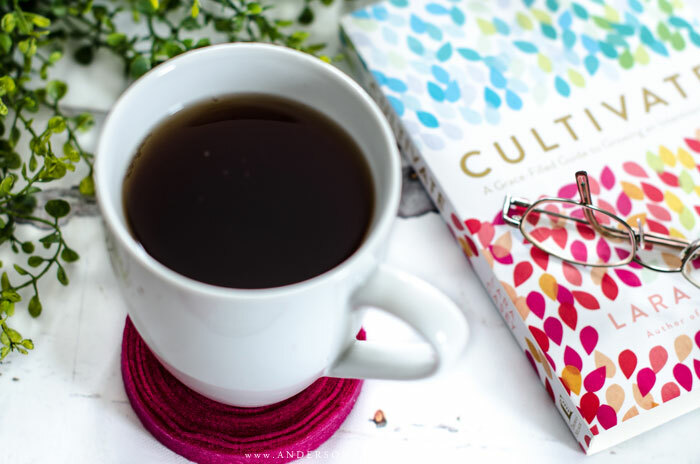 But you end up with a stylish coaster that makes a statement on your coffee table, in your kitchen, or wherever you may need protection from a hot or cold beverage. They are also a nice project to work on to give as a gift for a friend or teacher.